Inheritance tax in South Africa can be complicated. Here's a basic guide. How does Inheritance tax affect you when you inherit?. Inheritance tax in South Africa is not understood that well by many people and families have split apart over inheritances. Some people pass on without a Will and then nobody knows how their assets are to be distributed. When you die, you want your assets to go to your family. If you die without leaving a will, it is known as having died Intestate. In terms of Intestate Succession law, the inheritors are the spouse, children and blood relatives. In fact, there are only a few estates large enough to incur Inheritance Tax. Estate duty is due on the estate of everyone who dies and whose estate is more than R3,5 million. Even so, when you make a Will you need to factor tax into your plans – when to pay and what. Some people take out a Life Insurance policy to help out with an Inheritance Tax bill. This makes things easier for the family. 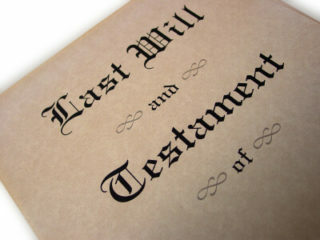 Assets and liabilities make up a deceased’s estate. And where there is a family, they are the ones who will inherit. The question arises how soon after death must tax or capital be settled? Is there inheritance tax? The Estate Duty Act is complex, and how one is married also has an impact on calculations. All property, from fixed property to movable property will need to be brought to account. The proceeds of life assurances must also be mentioned. From all these assets, an amount is deducted for legitimate claims against the estate. Claims such as credit cards, funeral costs, outstanding bonds as well as administration of the estate. On death, a person is deemed to have disposed of all their assets so as to calculate whether there will be capital gains tax liabilities. Assets left to the remaining spouse will be free of tax, but other assets will attract an additional tax on death. South Africa’s inheritance laws apply to people owning property in South Africa. There are no separate laws for foreigners. Donations of property are subject to tax, which is currently 20% of its value, payable by the donor. Donations and gifts are different from an inheritance Donations up to R100,000 and gifts between partners are exempt. People married in community of property, are considered as joint owners and both have equal rights of ownership over their fixed or immoveable property. If one partner inherits immovable property, both are seen as owners. If married outside community of property, ownership can be registered by only one person. Inheritance tax on money, possessions and gifts you make during your lifetime can be complicated for sure. The passing away of a loved one is a difficult time, but the South African Revenue Services (SARS) have some practical advice for you. Report the death to the nearest office of the Master of the High Court or Magistrate’s court to get a Letter of Executorship. The death must also be reported to the nearest SARS branch. You can call the SARS Call Centre at 0800 00 7277. You can also read about Estate Duty on their website as they make provision to get help in this regard by clicking on a specific link. Get a FREE Life Insurance quote here. ← Why you shouldn’t cancel your Life Insurance.